What are the political ramifications of the security prescription authored by the former Defense Minister and the current Director-General of the Foreign Ministry? Israel’s security depends on its retaining defensible borders. This means maintaining control over key areas of Judea and Samaria and certainly over an undivided Jerusalem…This is also why it is crucial for Israel to control the strategically vital Jordan Valley. If it does not do so, the situation along the Jordan border may become similar to that of the Gaza-Egyptian border…[S]afeguarding Israel’s vital security requirements is the only path to a viable and durable peace …This includes defensible borders, a demilitarized Palestinian entity, control of a unified airspace with Judea and Samaria, electromagnetic communications frequency security. -Lt.-Gen. (res.) Moshe “Bogie” Yaalon, Former Defense Minister, and IDF Chief-of-Staff, 2014. 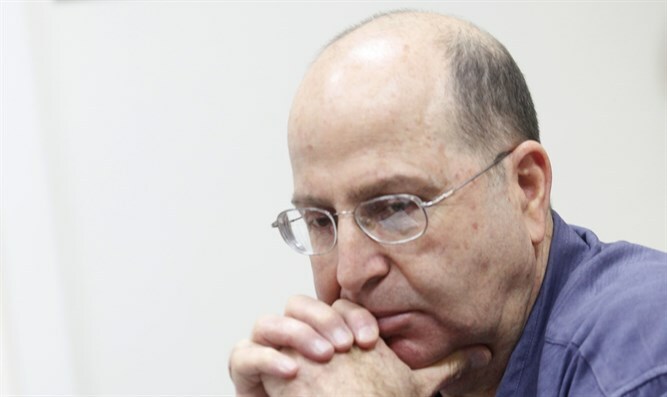 This week, Moshe “Bogie” Yaalon took an additional step to further his declared intention to mount a challenge for the national leadership, after being rather abruptly removed from his position as Defense Minister in a highly controversial move by Benyamin Netanyahu. He announced the formation of a new non-profit entity, called “Different Leadership” (presumably to convey the idea that should he be at the helm, things would be very different than they are at present under Netanyahu), which will serve as the organizational platform for his public activities in the near future. I have been personally acquainted with “Bogie” Yaalon for almost a decade and a half, ever since, soon after his appointment as Chief of Staff, he kindly invited me for a one-on-one meeting at the IDF General Staff Headquarters in Tel Aviv. Although I cannot claim that we became “bosom buddies”, over the years I did develop both a sense of personal esteem and liking for him—and greatly appreciated his willingness to make himself available for events I was involved with, whenever I extended an invitation to him. Yet, for all my personal bias in his favor, I must confess that I have been disturbed, disappointed and, at times, even dismayed at some of his decisions in the last few months of his term. However, for the present I do not wish to dwell on the whole gamut of issues of disagreement I have with him but rather focus on one cardinal point, regarding which he owes the Israeli public clarification and the removal of any ambiguity or internal contradictions in his positions concerning it. This pertains to the question of the future of Judea-Samaria in light of Yaalon’s own very detailed and tightly argued stipulation of Israel’s security imperatives vis-à-vis these areas. The endeavor did, indeed, include an impressive array of participants with unimpeachable security and diplomatic credentials. Apart from those mentioned above, the list included Gold himself, as former ambassador to the UN; Maj.-Gen. (res.) 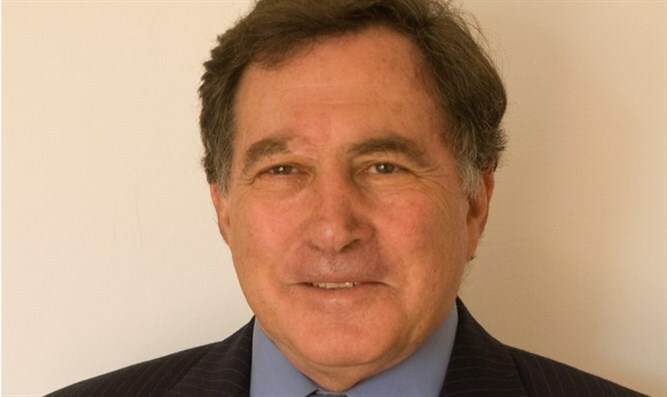 Aharon Ze’evi Farkash, former head of Military Intelligence; the late Meir Rosenne, formerly Israel’s ambassador to France and the US; Brig.-Gen. (res.) Yossi Kuperwasser, formerly head of the IDF’s Intelligence Research and Assessment Division; Brig.-Gen. (res.) Udi Dekel, formerly head of the IDF’s Strategic Planning Division, and Dan Diker, former secretary-general of the World Jewish Congress. The underlying theme of the series of studies was that unless Israel’s borders were defensible, the country would be so vulnerable that temptation to launch attacks against it would be irresistibly strong—resulting in inevitable instability, which would preclude any chance of durable peace. Reflecting this fundamental perspective, in 2014, Gold’s JCPA produced a 160-page ` (an updated version of an earlier 2011 publication), with elaborate maps, photos, and instructive illustrations, entitled “Israel’s Critical Requirements For Defensible Borders:The Foundation For A Secure Peace”. The document (much like its 2011 predecessor), provided detailed explanations of the rationale for these requirements and the imperative for fulfilling them. Significantly, the authors elaborate on why the decline of the former state-structure and the rise of non-state actors, such as the terrorist groups like ISIS and al-Nusra, as well as the proliferation of high trajectory weapons (particularly the more primitive and readily available variety) do not diminish the importance of the territorial component of these requirements—but in fact enhance them. Indeed, Gold himself underscores the “robust” martial capabilities developed by these organizations, which in both Iraq and Syria, have shown themselves capable of defeating regular army divisions—including those equipped with armored forces. Like Gold, Yaalon was a prominent contributor to the monograph, authoring the 10 page introduction entitled “Restoring a Security-First Peace Policy”, which set the tone for the ensuing chapters. Among other topics, these dealt with designating the territory across the 1967 Green Line that Israel must retain in any future political arrangement, the rejection of reliance on foreign troops to ensure security and the need for Israel to maintain control of the airspace above, and the electromagnetic spectrum throughout, Judea Samaria. To complement the written papers, Gold’s JCPA also produced a series of incisive videos to illustrate the points made in the study, which were sharply critical of the conventional paradigm of territorial withdrawals as the sine qua non for peace. For example Maj-Gen (res) Uzi Dayan devoted a considerable portion of his analysis to “The Implosion of the Land for Peace Formula and its Consequences” and “Defensible Borders in the Age of Rocket Terror”. Arguably the most notable of these videos was the five minute long “Israel's Critical Security Needs for a Viable Peace”, which visually encapsulates the essence of the major arguments made in the more detailed written work and conveys them graphically to the public. - The Eastern slopes of the mountain ridge in Judea-Samaria (including the Jordan Valley) to contend with any aggression from the East, whether future hostile military action, terrorist infiltration, or smuggling of arms and ammunition, as is the case in Gaza. This is becoming particularly acute as the current regime in Jordan appears to be increasingly threatened by ascendant Islamist adversaries. - The airspace above, and the electromagnetic spectrum throughout, Judea-Samaria to facilitate the ability of the IAF to intercept any hostile aerial intrusion before Israeli population centers are threatened; to forestall disruption of Israeli communication and surveillance systems; and to deny such capabilities from foreign entities, inimical to Israel. These are the core elements of the security prescription that Yaalon and Gold have subscribed to both implicitly and explicitly. Their commitment to it has—or at least should have—self-evident ramifications. JCPA’s security prescription: What are the political ramifications? For anyone with a smidgeon of familiarity with the Arab-Israeli conflict, in general, and the Israel-Palestinian one, in particular, one thing should be undeniably clear: If Israel is to fulfill what the JCPA prescription deems to be its “critical security needs”, the chances of reaching a political resolution through negotiation are—to greatly overstate the case—somewhere between extremely remote to imperceptibly slim. After all, if Israel is to retain control of both the Western and the Eastern slopes of Judea-Samaria, the sky above it, and the “ether” that surrounds it, then there is precious little room for instituting Palestinian self-rule—much less sovereignty. Under these conditions, there is equally precious little chance of finding any Palestinian negotiating partner, who would even contemplate acquiescing to such conditions—much less signing an agreement to comply with them. Accordingly, given the persuasive case the JCPA experts make for their security prescription, Israel is confronted with the predicament of having to decide what the political ramifications that arise from it are. What kind of political arrangements, if any, does it facilitate? Should Israel forego some, or all, of its critical security requirement to maintain the hope of a negotiated settlement? If it does, how can any future Israeli government justify playing “Russian roulette” with its citizens’ lives for the sake of such a forlorn hope? If not, what will be the fate of the Palestinian-Arabs, resident in Judea-Samaria? These and other trenchant questions emerge inevitably from the JCPA’s security prescription—precisely because it is so compelling. They are questions that its authors have a duty to address—precisely because they have made their case so compellingly. The need to debate them is urgent. After all, if the land-for-peace concept has indeed “imploded” permanently, what is to take its place? How is any alternative to be advanced and implemented? What are the ramifications for the future of Israel as the nation-state of the Jews – and for the Zionist ideal? In recent months I have tried to prod several of the study’s participants into initiating discussion of these questions but sadly found little enthusiasm for broaching them. Indeed, quite the opposite, there seems to be a surprising (or not) reluctance to do so.